Teaching With An Open Heart: The Myth of "Treating Everyone the Same"
The Myth of "Treating Everyone the Same"
That might look like a fair or even positive statement at first blush. But, if you work with an ethnically, linguistically, socio-economically diverse population, that is one of the sentences you least like to hear. 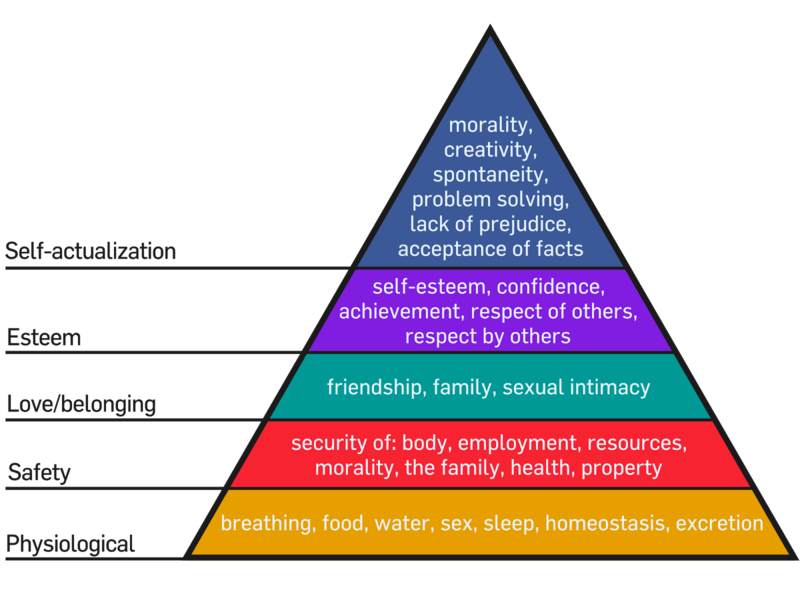 Remember Maslow's Hierarchy of Needs? If you work with students and families who are barely out of the bottom rung of the ladder and on the second to bottom, you actually hate this comment. Everyone is NOT the same. I have a master's degree, 3 cars in my family, a computer at home, a 2-income household, was born here in the good ole' U.S. of A., and have an understanding of all the hidden rules and regulations of our culture and school system. I'm way up high on this pyramid. Now they are here and maybe barely moving on to the 2nd rung. So, when faced with the same demands and rules of this culture that I am faced with, what do they need? They need understanding. They need compassion. They need patience. They need bridges. And, they need others to go the extra mile for them, until they can go that mile themselves. And, they also need more practical things, too. Like an interpreter until they have time to master English. Like help with transportation- someone explaining the bus system to them or helping them figure out how to afford a car and how to get a driver's license. Like extra time and explanations with the myriad of forms our government and schools demand. They need bridges created and they need gaps filled. They do not need to be treated the same, because they are NOT the same. But, with some help, love, and understanding, they'll make it. Because refugees and immigrants are some of the most resilient, incredible, driven people I have ever known. And, do you know what they'll do when they make it? They'll give back and help others make it. So, "I treat everyone the same." Doesn't every human deserve to be on the top of the ladder?? ?